I have written this prayer guide so you will be able to use it during your quiet time. It is designed to teach you to pray according to the Lord’s Prayer found in Matt. 6:9-13. If you would like to learn more about how to pray the Lord’s Prayer, then check out the posts below. If you print on the front and back of a single page, it can be folded like a brochure. 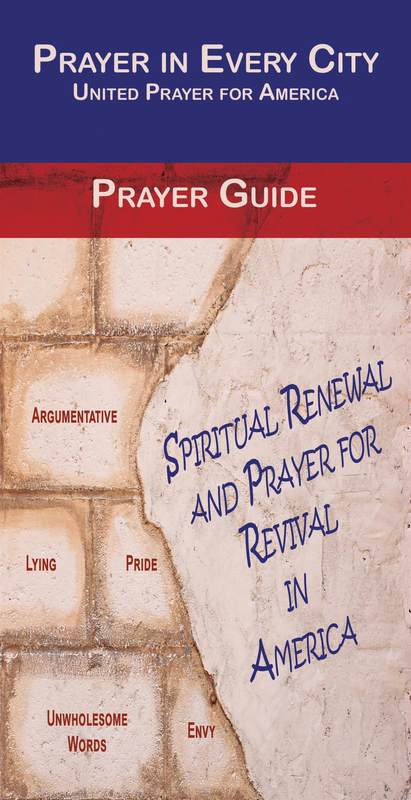 Permission given to reproduce and distribute prayer guide, but it cannot be modified in any way. How can I order pamphlets on ‘Prayer in Every city’?